bdh+young is proud to announce Derek Lillo’s promotion to Project Manager. 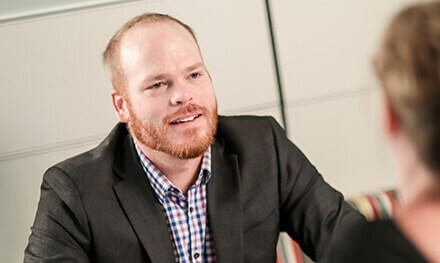 Driven by client satisfaction, Derek takes pride in forming strong teams tailored to each project and working collaboratively to develop innovative design solutions to meet his clients’ specific needs. As an employee of bdh+young for 14 years, Derek is responsible for managing a team of interior and technical designers in support of interior and architectural projects. Contact Derek to find out how his team can add value to your next project.